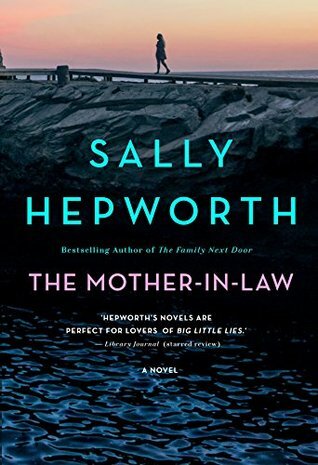 Having loved another book by Sally Hepworth I knew that I just needed to read The Mother-in-Law and that I was going to love it. I’ll admit I’ve had this thriller for awhile and while you would think I would have been rushing to pick it up I actually saved this one for a pick me up when I got in a mediocre rut and thankfully it worked. The story in The Mother-in-Law starts in the present time with Lucy as she and her husband are at home enjoying the day when police show up with some horrible news. Diana, Lucy’s mother-in-law, has been found in her home in what at first glance seems to be a suicide. As readers are getting to know Lucy, her husband and the rest of the family as they deal with the news Sally Hepworth begins to sneak in chapters from Diana’s point of view which of course are taking place in the years since Lucy married into the family. The story flows really well from the past and present as we discover Diana’s death was not what it seemed to be and someone wanted her dead. As one might guess I absolutely loved this story and had a great time trying to figure out what happened. One of those books that just immediately drags you into the story and doesn’t let go as the battle between they all seem innocent to everyone is a sketchy lowlife and she’s lucky she lived this long wages war in your head. Would definitely recommend checking this one out but be prepared it’s one you won’t want to put down. This book is on my TBR list and I have a copy sitting on my bookshelf. After reading your 5 star review I think I will bump it up my list and read it soon. Great review!